This is a tricky challenge. What do I regard as sacred? It’s got to be family. The picture below depicts my parents, now both dead, with their dearest friends. A life long friendship that was established when my Dad and “Uncle Clifford” undertook their military service together and bonded after discovering they shared the same birthdate. The two couples spent many happy vacations together, and we’ve even spent a couple with the four of them in Austria, Spain and Germany. 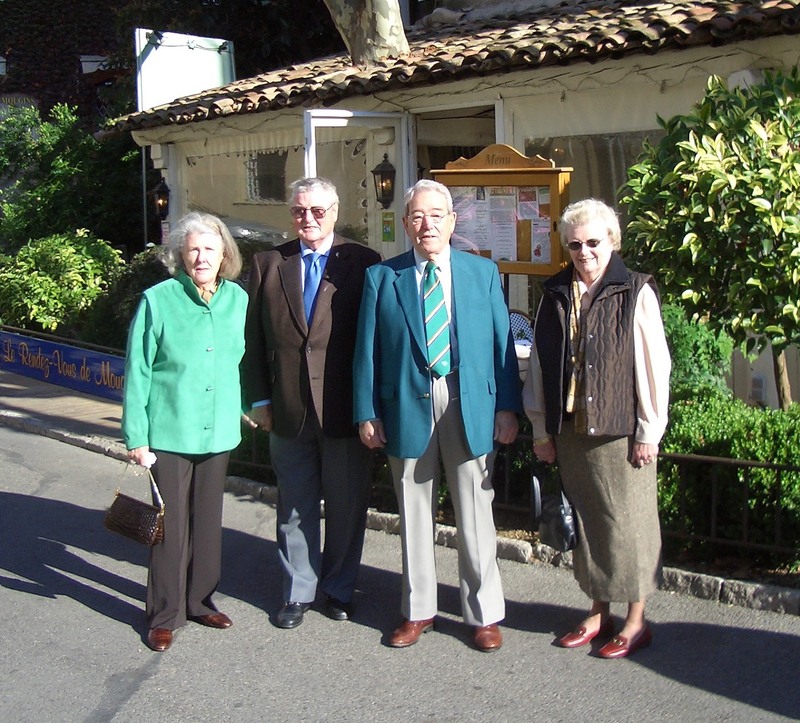 This photo was taken in Mougins on one of their (many) visits to the Cote d’Azur. So you could say the photograph celebrates the sacred ties of both family and friendship.